Floyd Mayweather Jr. is implying that a planned Dec. 31 fight with the Rizin Fighting Federation isn't going to happen over differences with the magnitude of the event. 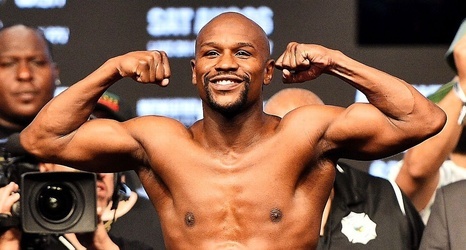 In an Instagram post Wednesday, Mayweather said he initially agreed to a small exhibition and that he and his team were "completely derailed" and should have put a stop to Sunday's news conference at the time. On Sunday, Rizin announced that Mayweather would face 20-year-old Japanese kickboxing phenom Tenshin Nasukawa in Saitama, Japan on New Year's Eve. Mayweather wrote in his Wednesday post that he never agreed to a fight with Nasukawa and had -- "with all due respect" -- never heard of him.